Now that's a cool story. 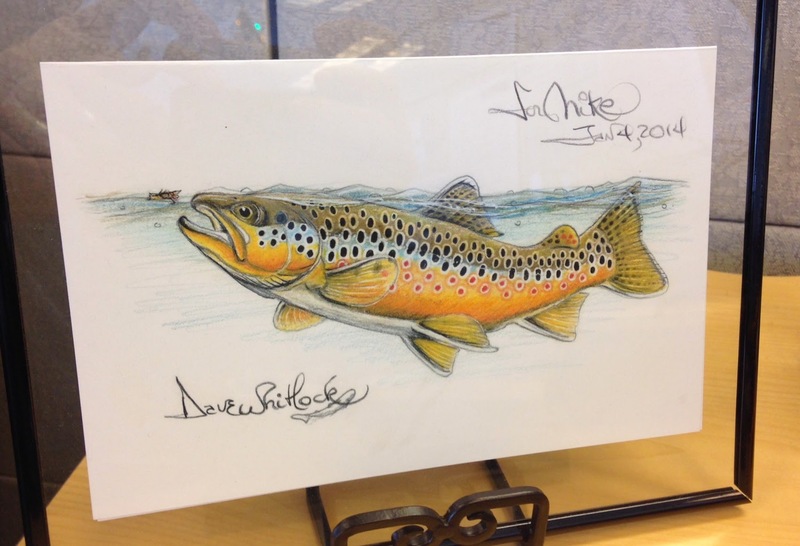 I love Dave's artwork and have admired him from afar at the fly fishing show. Maybe I'll step up and talk to him. Thanks Mike! Howard, it is definitely worth it! By far the coolest thing at the Fly Fishing Shows is to see Dave Whitwork work. Agreed, and thanks for taking those great photos! The man is a legend indeed. What a pleasure it must have been and it seems he is very humble as well. Hope you have a Happy New Year friend. He was too busy to even get close to when I was at the show. Well...next year.